Everybody at McClymonds High School seems to know Annette. And if they don’t, they will. A 1984 McClymonds graduate, Annette’s first kid graduated from McClymonds in 2009 and her last would have graduated in 2015. And for the last decade, she has been a weekly fixture on the campus. She has volunteered in nearly every role from school site council to alumni affairs, and, now advocacy. 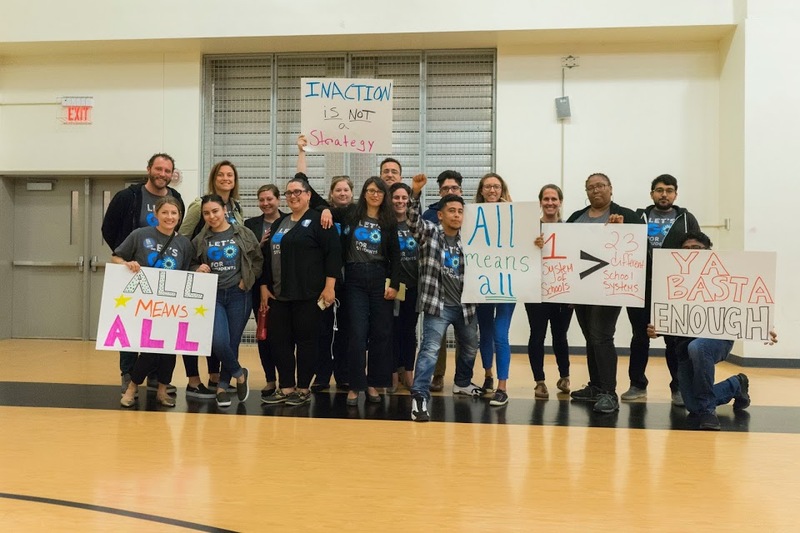 Annette’s advocacy work with United Families Building Community (UFBC) is designed to increase the number of families involved in the Oakland Unified School District’s (OUSD) efforts to transform the campus. Because she wants McClymonds to be better than it was for her youngest son. She dreams of a McClymonds that prepares and inspires Oakland students for the future – a quality neighborhood school that West Oakland families will flock to. She knows her alma mater needs the change. Just 4 percent of students at McClymonds met the standards on the 2014 – 2015 Smarter Balanced Assessment Consortium (SBAC) tests for math. SBAC is a new measure for academic success. Annette and other families are also concerned about McClymonds lack of options for students related to extra-curricular activities, elective courses, advanced placement courses, and a decline in enrollment. When Annette was on campus as a student, McClymonds’ student enrollment was close to 1,200 students and the offerings for students were abundant. Today, enrollment is under 350 students and the extra-curricular options are not as plentiful as they once were. McClymonds also has 4 in 10 students that do not graduate in 4 years. and another 1 in 4 drop out. It is why Annette is on campus weekly. And it is also why she has been working with West Oakland families, McClymonds students and teachers, district leadership, and community partners to get more families involved in the process to create more educational opportunities at McClymonds for current and future students. “My last son doesn’t have a high school diploma,” Annette said. “He was 19 credits away. He believed in (McClymonds) and was hoping it got better. Then he got shot. I went to the school to see what we could do to get him to graduate. Her work hasn’t gone unnoticed. OUSD honored Annette as one of its Volunteers of the Year for the work she has done at McClymonds. 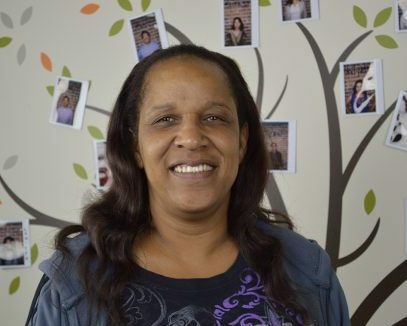 Her presence is why she is so well known and why when she walks through the doors of the historic West Oakland campus, everyone from the campus safety officers to the janitorial staff to the students and teachers know Annette. Annette bleeds orange and black, the colors of the campus located on Myrtle and 26th street. She is just one in the many generations of her family that have called the high school home. Everyone from her grandparents to her parents, to her kids have all walked the halls of McClymonds. It is why she is so passionate about the school. It is not just history for her. It’s family. She credits Sara Nuno and her Raising the Bar program and Brittany Love for helping her through her journey. And she hopes families in west Oakland come out to support her and UFBC’s efforts to have more family voices in the changes at McClymonds.